Q: We are looking for some inspiration from different corners of the world, namely some of our favorite vacation spots like Morocco or the Caymans. Any ideas? A: The spectrum of bathroom inspiration available is incredible. Whether you are looking for an exotic Thai-themed tub and tile combo or a more subtle but equally alluring Riviera-inspired fleur-de-lis design, the “culture’s”your limit. We’ve highlighted a few themes from some top vacation spots that may spark your interest, and we would love to hear from you as to other themes you’d like to know more about. Moroccan Inspiration: Getting the Moroccan theme is not as tricky as you might have thought. While some of that can be achieved through actual architectural designs (curved doorways, archways, etc. ), you can also create the feel of a Moroccan bathroom by choosing a color palate that reflects the cultural and religious influences or tiles that showcase the familiar keyhole shape. Caribbean Dream: You can capture the depth and calm of your favorite Caribbean vacation spot by choosing a tile for your backsplash, tub or floors which resembles the waters you look out to when you’re relaxing on the beach. One tile we love is the Caribbean Border Water Tile by Regantile, which reflects the peaceful water through an embossed porcelain tile. Hawaiian Song: When it comes to vacation, many of us go straight to Hawaii in our minds (whether we get there or not!) and there is no shortage of ideas out there to introduce Hawaiian themes in your home bathroom. When it comes to design, you want to think dark woods for furniture to contrast with lighter, more neutral walls. Adding an exotic palm or sheaf of real or faux grass can give your room the perfect touch. And don’t forget to consider using stone in your larger bathrooms to complement the overall look. Here was a great site we came across highlighting 35 unique ways to showcase raw stone in the bathroom. Qatar Riches: When it comes to the Middle East, not many of us immediately think of bathroom inspiration, but Qatar should be an exception to the rule. As one of the world’s richest country per capita, Qatar is also a great vacation spot. And therefore a great choice of inspiration for bringing culture indoors to your home. One theme that sets this Qatari design, for example, apart from others is the expansive feel its desert designs create. So if you’re looking to produce a feel of vastness and luxury, choosing the clean and timeless feel might be for you. What cultures inspire you that you have brought into your home? Share your ideas and pics with us. 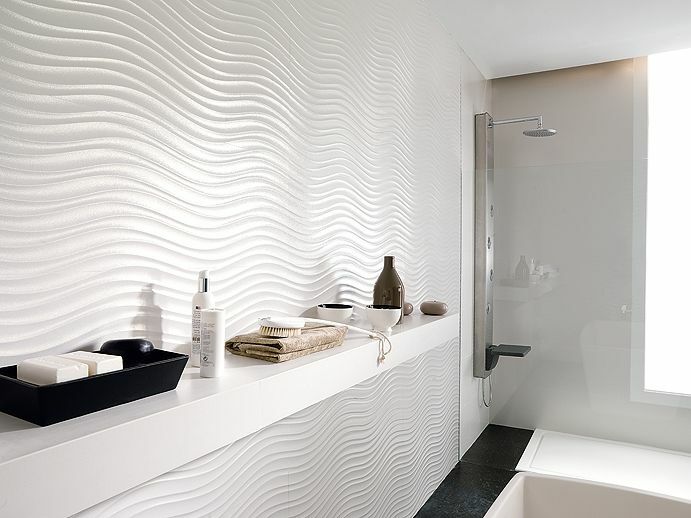 And if you are ready to take your bathroom to the next level in refinement and the exotic, contact us!